Watches don’t just tell the time, they give away your personality, style and choice. 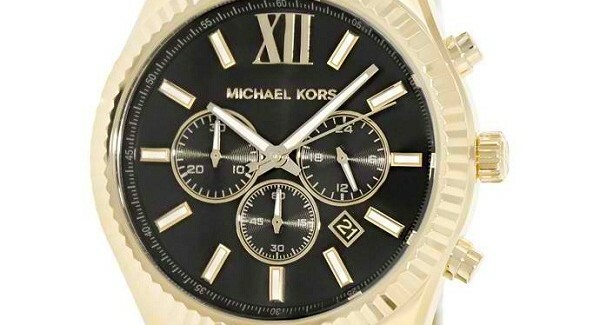 Gold watches are the choice of the best of the best, but these ones come at very luxurious prices. 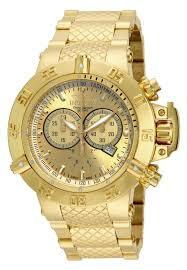 However, there are quality and affordable gold watches in the market that most of us can very well afford. This watch is an analog type, round shaped chronograph watch that has Swiss quartz movement. The 14500 Subaqua Noma has an 18k gold ion plated stainless steel case and bracelet. Its chronograph function has 60 seconds, 30 minutes and 1/10 of a second sub dials. It has a date window located at four o’clock. This watch also has a tachymeter scale on the dial border. It is water resistant to 500m/ 1640 feet. It’s bulky at a case diameter of 50 mm and thickness of 19 mm. PR stands for Precise and Robust. That’s exactly what this popular and stylish watch is. The PR100 has a gold tone stainless steel case with a scratch resistant sapphire crystal. It is a sports watch with Swiss quartz ETA F06.11 movement. 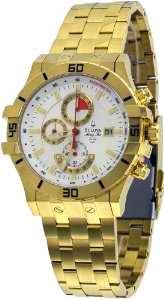 The watch has gold Arabic and Index dials and is water resistant to 100m/330 feet. Its length is 36.6mm, width is 38mm and is 8.63mm thick. The Marine Star chronograph is an analog watch with a stainless steel case material. It also has a push button release clasp that has a safety lock mechanism. This time piece has luminous hands and markers. It utilizes the precise Japanese Quartz movement with an accuracy of +/- 20 seconds per month. It has a date display at three o’clock and is water resistant up to 100m. The 97B111 has a diameter of 47 mm and thickness of 18 mm. The MK8286 is a watch for any occasion. This compliments a business suit and can also be a perfect accessory for a night out with friends. This timepiece has a dependable Japanese-quartz movement and is protected by an enduring mineral crystal. It has an analog display with black dial and gold hands. Other features include a chronograph, date display and being water resistant to 100m/330 feet. The case is 45mm wide without the crown and is 13mm thick. 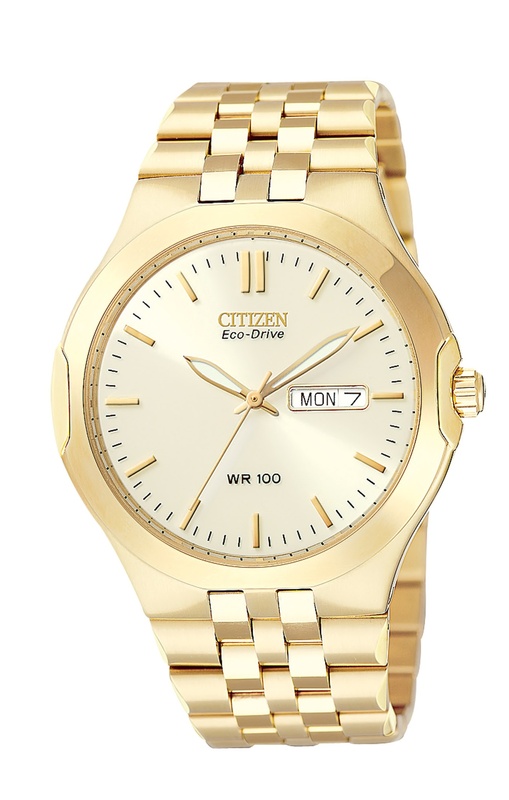 A sophisticated and straightforward design marks this Corso time keeper from Citizen. The BM8402-54P is from the maker’s solar-powered Eco Drive collection. This means that this watch charges in sunlight and indoor light. It has caliber E101 Japanese quartz movement. 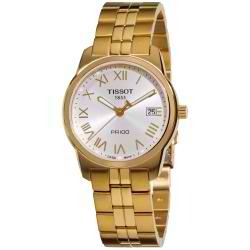 It has a durable and hardened mineral crystal and champagne dial. It has both day-date display functions and is water resistant to 100m/ 330 feet. The case diameter is 39 mm and it is 9 mm thick. This round analog watch from Guess has a brushed and polished gold tone case. It has a stopwatch function and a 24 hour international time and date. The UO205G1 also has a gold tone steel mesh bracelet with a deployment clasp. This is an analog quartz that has a case diameter of 44 mm and thickness of 14 mm. 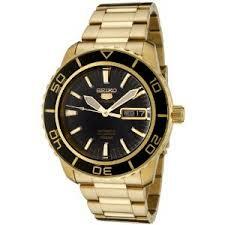 The Seiko SNZH60 is a casual analog watch and is part of the Seiko 5 Automatic series. It boasts of a 23 jewel, precise Japanese automatic movement which functions without a battery and is powered by hand movements. It has day and date functions, with the day function available in English and Spanish. It is water resistant to 100m/330 feet. Its case diameter is 42mm and is 14mm thick. Jaques Lemans is the creator of “unique watches” that accentuate your style. This Swiss made chronograph watch has an analog display and precise Swiss -quartz movement. The G-19ET sports watch comes with chronograph functions of 60 seconds, 30 minutes and 12 hour sub dials. It also has tachymeter scale on the bezel. However, its calendar function displays only the date. 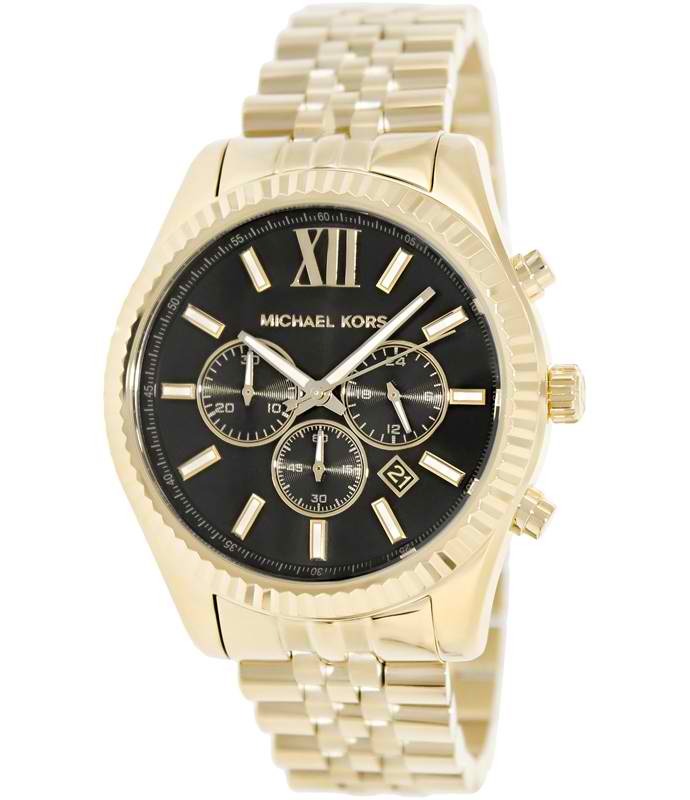 This gold tone cased watch is water resistant to 100m/ 330 feet. It has a case diameter of 39mm and thickness of 11mm. 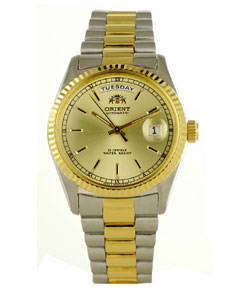 This classic looking timepiece is a must have for the active man with its vintage-inspired look. The Fossil FS4274 chronograph has an analog quartz movement and a stainless steel casing. The chronograph movement of this Grant includes 60 seconds, 30 minutes and 1/10 of a second sub dials. Its case diameter is 44 mm and it is 12mm thick. With its roots dating back to 1901, you can be assured that Orient pieces are one of the best watches for men. Take the case of this Automatic all stainless steel band masterpiece. It has 21 jewels and a self-winding automatic movement. Its oscillation frequency is 6 beats per seconds. The date functions on this watch display both date and day. This round and analog time keeper is water resistant to 50 feet only. The case diameter is 37 mm while its thickness is 11 mm. Owning those high priced gold watches is a luxury. These fairly priced and quality gold time pieces are more than enough. Remember that all of them were created to tell time. And it is time that should be truly gold.